Bruges: In the Burg, Palace of Justice to left, then Old Recorder's House. 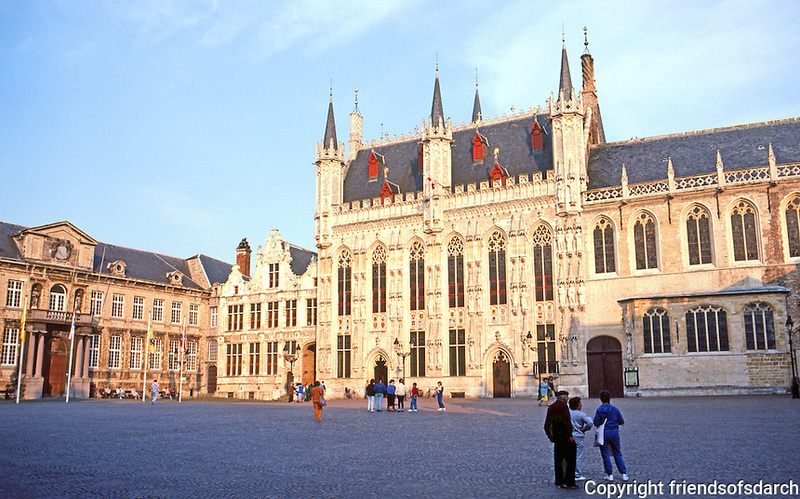 In center, Town Hall (1376), then 12th C. Basilica of the Holy Blood. Photo '87.